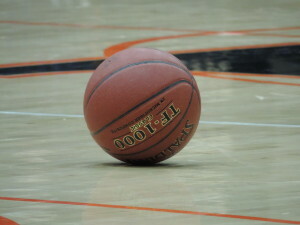 UW-Stevens Point and UW-Whitewater each claimed a share of the 2015 Wisconsin Intercollegiate Athletic Conference (WIAC) men’s basketball championship following games played on February 21. The Pointers beat Superior 70-60 while the Warhawks knocked off Stout 86-77 on Saturday. Stevens Point captured its third straight WIAC regular season title and 29th in program history. It’s the 15th title in Warhawks program history. It’s also the first time since 2005 that the conference title has been shared. Whitewater received the No. 1 seed for the WIAC tournament via a coin flip tiebreaker, while Stevens Point gains the 2-seed. Both get first round byes for the tournament, which starts Tuesday night. No. 6 seed Eau Claire faces No. 3 seed River Falls and No. 5 seed Oshkosh takes on No. 4 seed Platteville. The winner of the conference tournament receives the league’s automatic bid into the NCAA Division III Championship Tournament. UW-Whitewater ran its win streak to five by rolling to a 13-3 win over UW-La Crosse in the NCAA Midwest Regional on Thursday at Whitewater. The top seeded Warhawks improved to 38-7 and will meet Adrian (32-13) in a winners bracket game at noon on Friday. La Crosse (26-8) has been eliminated. Adrian also remains perfect in the Regional, beating Concordia-Chicago 4-1 yesterday. Concordia-Chicago will face St. Norbert College (24-15) in a 3pm elimination game today. St. Norbert College eliminated second-seeded Heidelberg 9-5 on Thursday. It’s just the second NCAA tournament win in program history for the Green Knights. Out west, UW Stevens Point remained perfect by beating Cal Lutheran 5-2 on Thursday. For the Pointers, it sets up a date with defending NCAA Champion Linfield College in a winners bracket game today. Nick Bennett made his head coaching debut for Whitewater last night, filling in for coach Pat Miller who is recovering from cervical spine surgery. What a debut it was for Bennett, who helped lead the Warhawks to a 81-76 win over UW-Stevens Point. The top ranked Pointers saw their win streak to start the season end at 20-games. UW-Stevens Point won the regular season WIAC Baseball title. For their efforts, they’re the 2-seed in the Midwest Regional which opens tomorrow at UW-Whitewater. The Pointers (35-9) will open play at 3pm against the 5-seed, Benedictine University (32-10), which received an at-large birth out of the Northern Athletics Conference. The host team, Whitewater (34-7) also received an at large bid and is seeded No. 3. The Warhawks will open play at 6pm against No. 4 Case Western Reserve (27-12), which is making its second NCAA tournament appearance. St. Thomas (33-5) is the top seed. They’ve won 25 of their last 26 games and will face the 6-seed, St. Scholastica (27-9) at noon Wednesday. In the Central Regional in Moline, Illinois, Ripon College (24-14) is the 6-seed and will take on top-seeded Webster University (32-9) at noon Wednesday. Top-seeded UW-Whitewater knocked off Finlandia, 6-1, to open the NCAA Division III Whitewater regional on Thursday. The Warhawks (32-5) will face Luther college in a winners bracket game against Luther, a 6-4 winner over Carthage. UW-Eau Claire fell in their opening round game, 12-10 to North Central. The Blugolds fell to 26-8. The Midwest Conference baseball tournament opens today. Top seeded Ripon hosts Grinnell and 2nd seeded St. Norbert College faces Knox in Fond du Lac. – The WIAC conference baseball tournament opens Saturday at host Whitewater.